Take a sheet of nori, and place it on a cutting board. 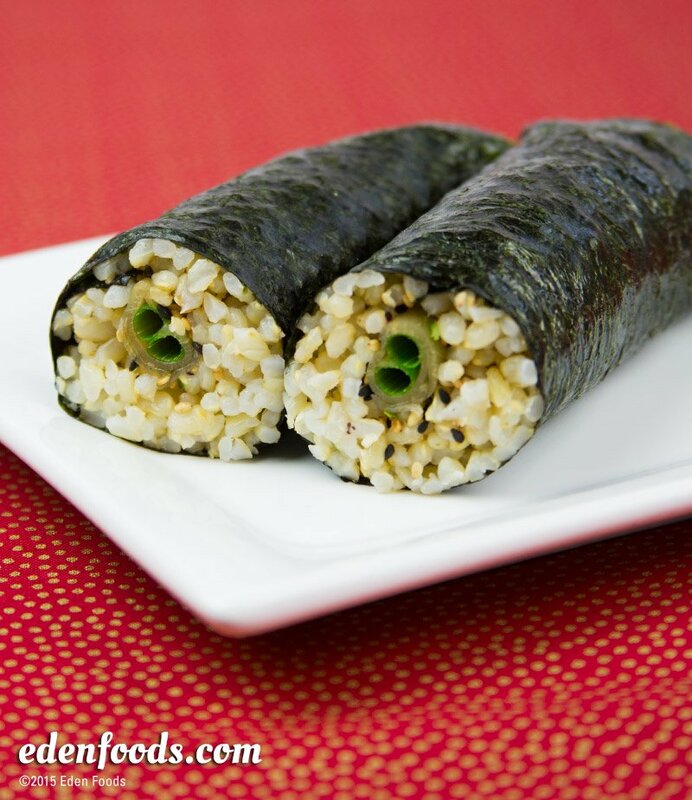 Spread 1 cup rice, evenly, on the sheet of nori so that it covers the lower half of the sheet. Sprinkle 1 teaspoon Eden Shake over the rice. Spread 1 teaspoon chopped ginger pickles over the rice. Place a length of green onion on top. Roll up, with your hands, forming a cylinder. Slice in half, if desired. Eat as you would a burrito.